On this week’s post, I take on an old favorite and a new favorite. A quick summary: Michael Bluth is a hard-working family man poised to take over control of his family’s lucrative home building business when his father retires. However, when his father is arrested for a slew of white collar crime, Michael finds himself a new priority: keeping his eclectic and narcissistic family from imploding. The beer: Boulevard Tank 7 Farmhouse Ale I’ve mentioned before that I’m becoming a big Saison guy. There’s a wide array of flavors and types, enough for someone of every palette. Tank 7 may be my favorite. It’s drier than a lot of other Saison’s, but incredibly crisp and refreshing. The pairing: I can break down this week’s pairing in a series of adjectives. Complex: Tank 7 and Arrested Development are both complex pieces of work, especially the latter. Having watched through all four seasons three different times, I can confidently say I’ve picked out something new every time. The writing is stronger than any show I’ve ever seen, even in a fourth season which many fans consider a letdown from the first three. The comedy is layered in such a way to reward long time fans, while still being open to newcomers. Refreshing: I used this word to describe Tank 7 already, but it’s fitting for the show as well. Every time I come back to Tank 7 (and Arrested Development), I expect to get a muted sense of enjoyment. You know, the kind you get when you know you like something, but the initial excitement has worn down. But neither has that effect on me. Every time I revisit both, I’m ecstatic when I realize there’s always something new to enjoy. Whether it’s a missed joke or a new flavor, I’ve never found either to grow stale. Enjoyable: The simplest reason these two fit together? They’re so easy to love. Arrested Development is deliriously funny in the way it deftly melds different styles of humor. 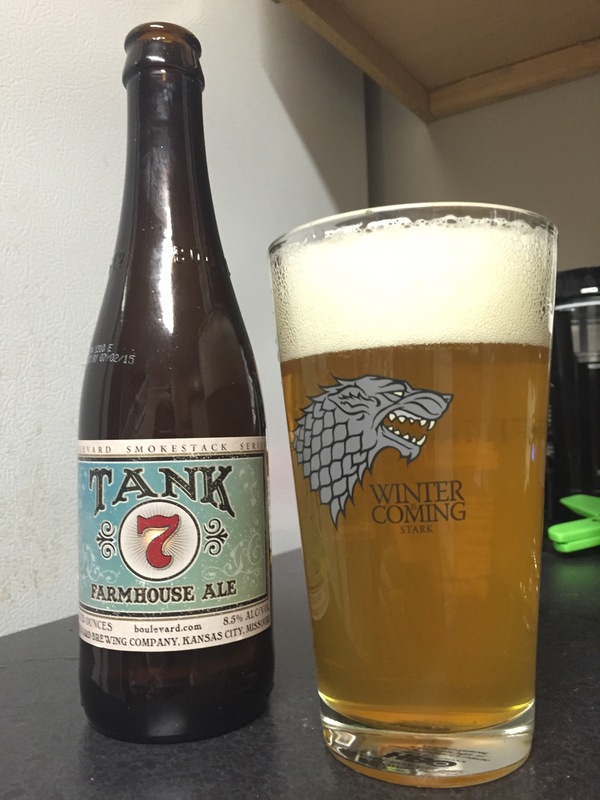 And Tank 7 is such a light beer, it’s not hard to appreciate its easy-drinking, tasty merits. Sure, both are more appealing to seasoned television and beer lovers. But I’m pretty discerning, and I was hooked on my first taste of each.